... And suddenly there is Cagliari: a naked town rising steep, steep, golden looking, piled naked to the sky from the plain at the head of a formless hollow bay. It is strange and rather wonderful, not a bit like Italy. The city piles up lofty and almost miniature, and makes me think of Jerusalem: without trees, without cover, rising rather bare and proud, remote as if back in history, like a town in a monkish, illuminated missal. 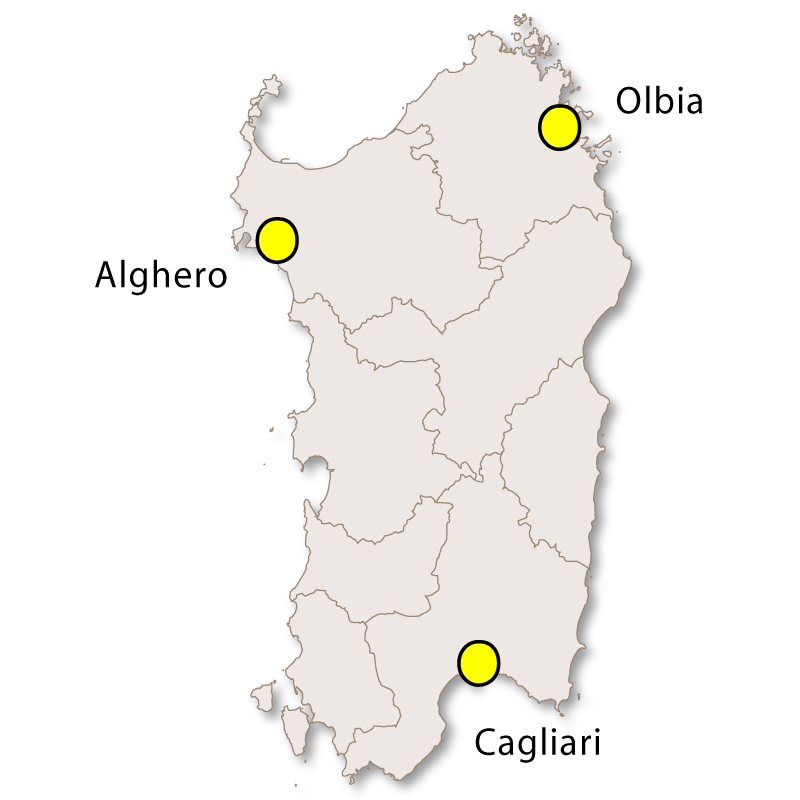 Find hotels in Cagliari One wonders how it ever got there. And it seems like Spain or Malta: not Italy. It is a steep and lonely city, as in some old illumination. Yet withal rather jewel-like: like a sudden rose-cut amber jewel naked at the depth of the vast indenture." 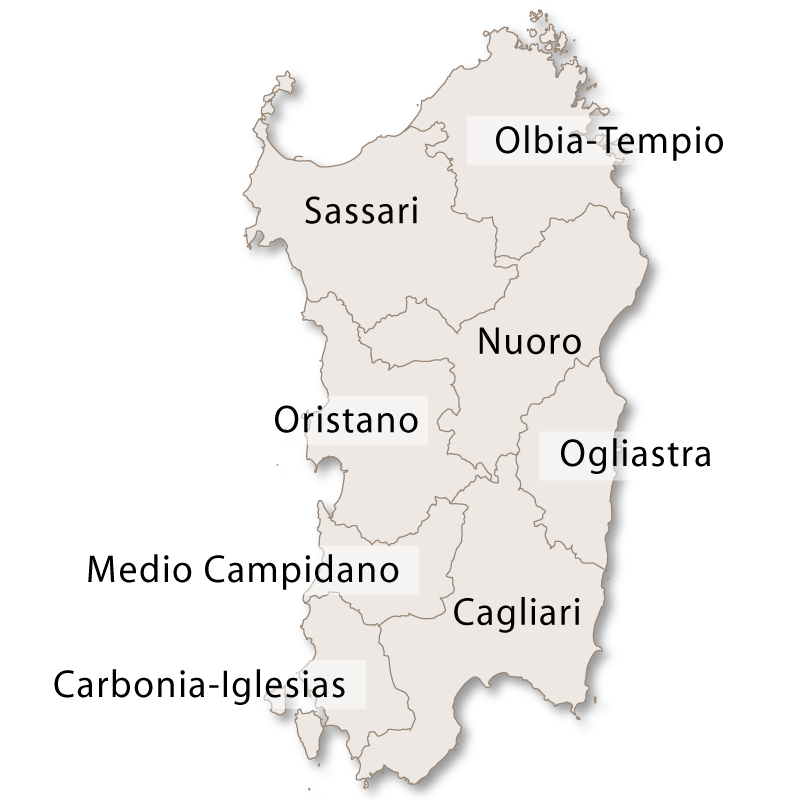 The city of Cagliari is the capital of the autonomous region of Sardinia. 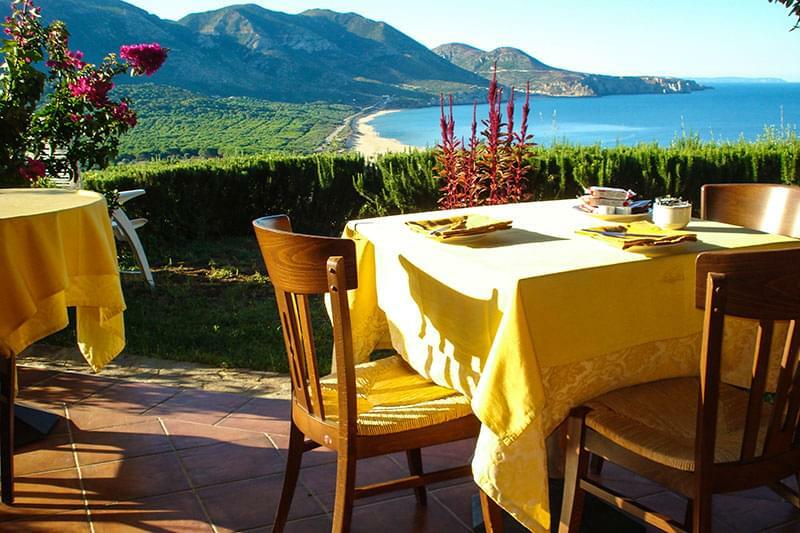 It is located at the top of the Gulf of the Angels (Golfo degli Angeli), at the southern end of the island of Sardinia. 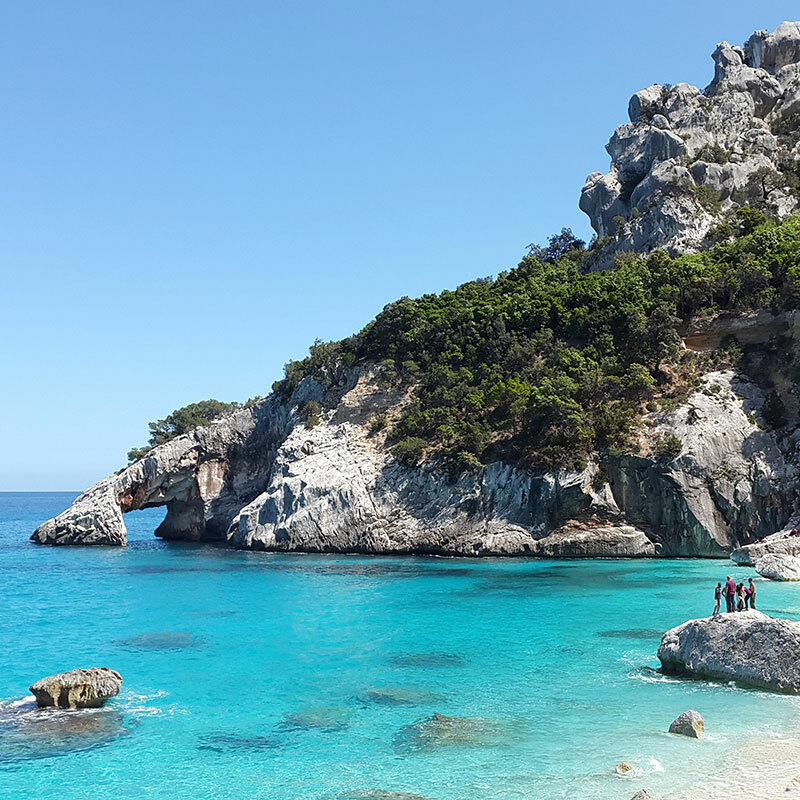 Its name in the Sardinian language of Sardu is Casteddu which means castle and, after a walk around its massively fortified city walls, complete with the medieval towers of Torre di San Pancrazio and Torre dell'Elefante, it's easy to see why! 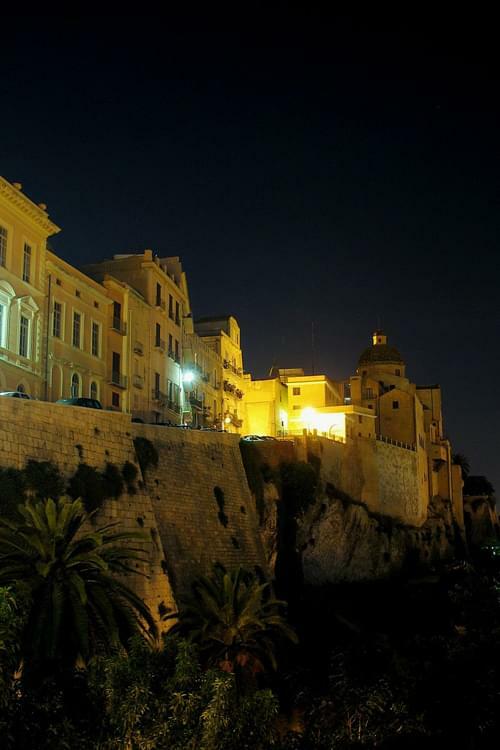 Cagliari, like Rome, is built over seven hills. It is a beautiful city with 2,000 years of history that have left a rich legacy of fascinating architecture in the centre. 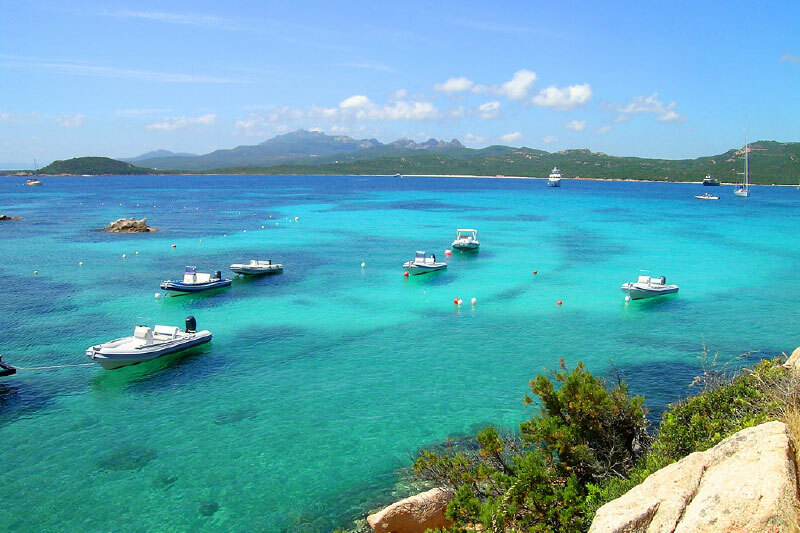 The island of Sardinia has been strategically important throughout history, due to its controlling position in the Mediterranean sea. 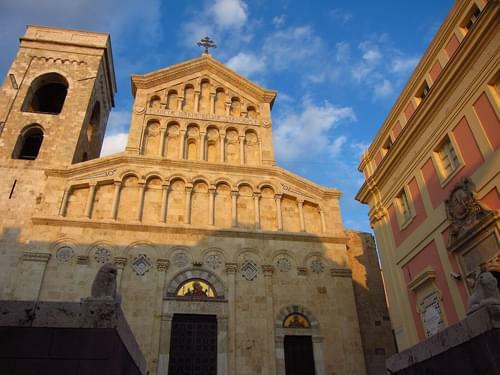 As the island's capital, Cagliari has been equally important to all of the civilisations that occupied the area, particularly because of its large, sheltered harbour, one of the largest ports in the Mediterranean sea. 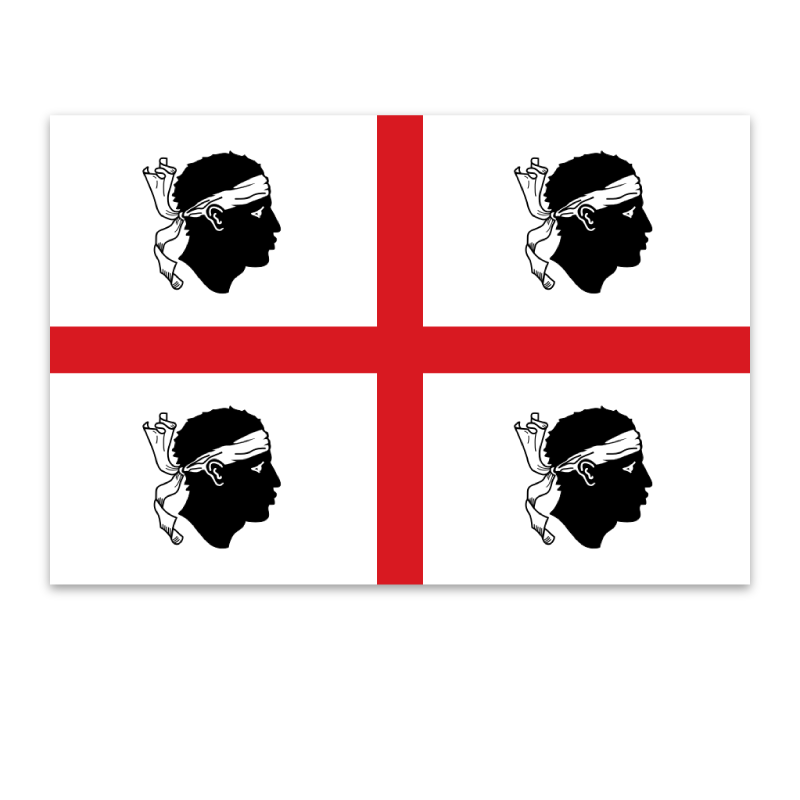 It was the capital of the kingdom of Sardinia from to 1324 to 1848 when control of the kingdom moved to Turin. 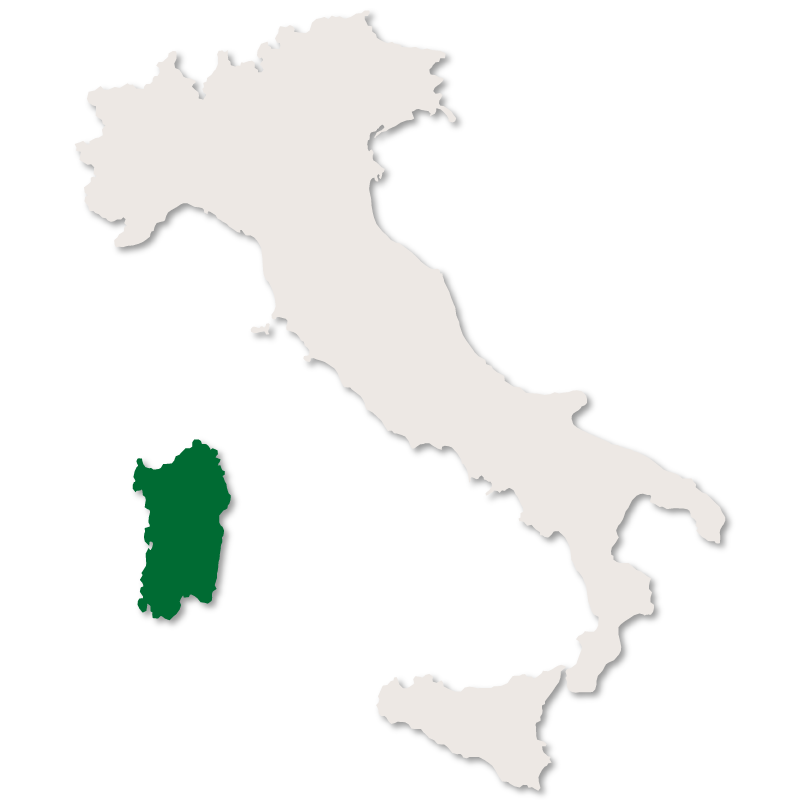 The kingdom of Sardinia became the kingdom of Italy in 1861. 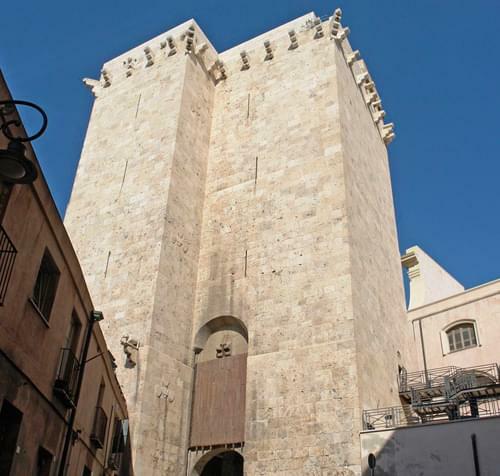 The most important cultural event in Cagliari is the annual pilgrimage in celebration of St Efisio. 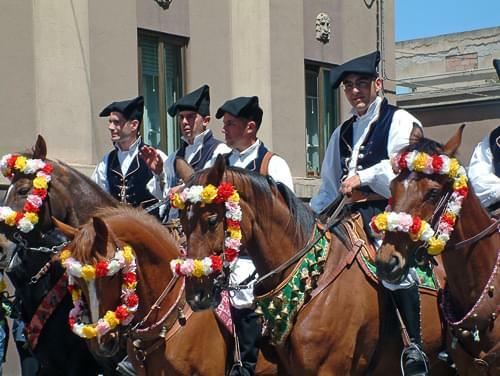 It takes place every year on 1st May and involves thousands of people and hundreds of horses. 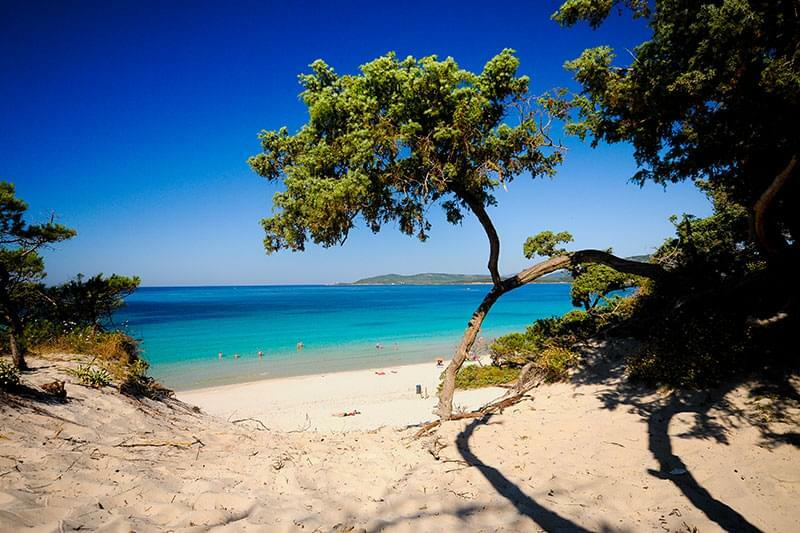 Just outside the city centre is the beautiful beach at Poetta. Its 8 kilometres of white sand and clear water make it a favourite destination for locals and tourists alike during the hot, summer months. 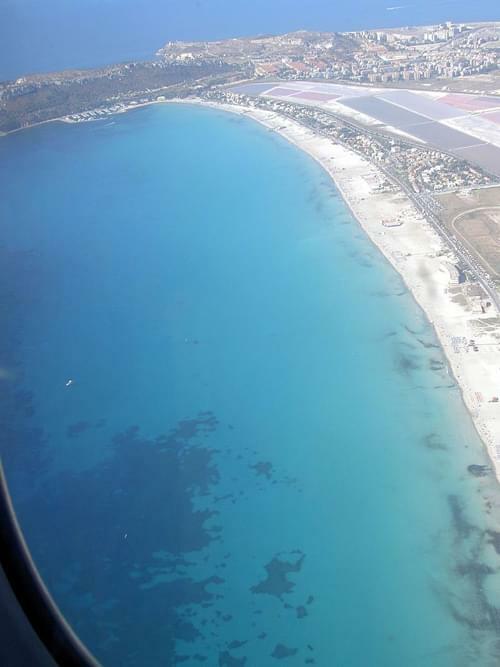 Behind the city lies the lagoon, a salt marsh area, home to thousands of flamingos which are a familiar sight as they fly over the Cagliari skyline.